We are delighted to be offering a NEW program this spring! 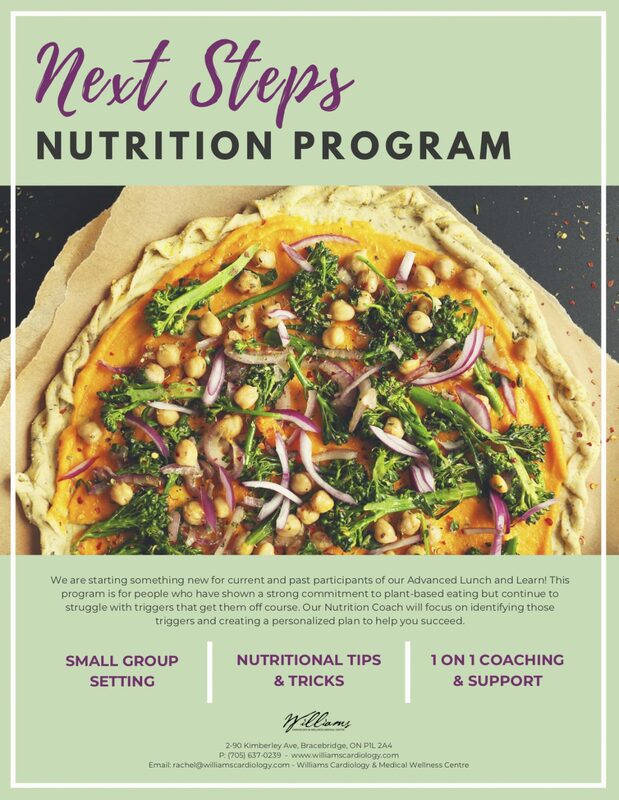 The Next Steps Nutrition Program is for current or past participants of our Advanced Lunch and Learn class who have shown strong knowledge and commitment to plant- based eating yet continue to struggle with minor triggers that get them off course. Our Nutrition Coach will focus on identifying those triggers and create a plan to move participants forward and stay committed to a plant-based diet. Nutrition knowledge, tips and tricks will be shared by our expert. Learn from the coach and each other through interactive discussions. Meal plans, grocery lists and recipes will be provided. Weekly food journalling and other tracking tips will help keep you accountable. OUR PROGRAM BEINGS IN APRIL AND REGISTRATION IS NOW OPEN!